2014 revised edition, with information on invasive tree diseases and how to help stop the spread. 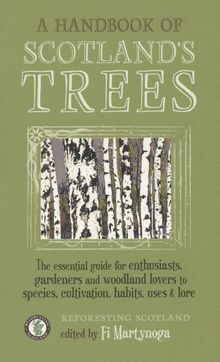 A concise yet comprehensive handbook, compiled with the expertise of Reforesting Scotland's editors, which covers trees commonly found in Scotland. From seed provenance and propagation to the history and lore of each species, this single source contains all the information you need to select the right trees for your site and grow them successfully. Traditional and modern uses of the wood are also included, as well as a glossary of silvilculture terms and recommendations for further reading.